Intelligence Minister Yuval Steinitz (Likud) said on Wednesday that Iran had conducted experiments with nuclear weapons at the Parchin military base, where the West believes suspicious nuclear activities have taken place based on satellite evidence. 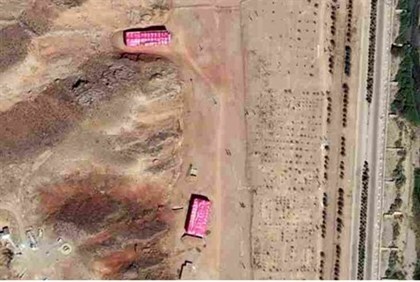 According to a statement from Steinitz, quoted by the Reuters news agency, Iran used the Parchin military base as the site for secret tests of technology that could be used only for detonating a nuclear weapon. The statement was issued a day before Iranian President Hassan Rouhani was to address the UN General Assembly. According to Steinitz, internal neutron sources such as uranium were used in nuclear implosion tests at Parchin. Israel based its information on “highly reliable information”, he added, without elaborating. The statement gave no specific dates for such testing, saying only that it occurred during what it called the 2000-2001 construction of a nuclear weaponization test site in Parchin. An annex to an International Atomic Energy Agency (IAEA) report in 2011, which included information received from member states, indicated that Iran may have conducted such alleged experiments but did not specify where they had taken place. “It is important to emphasize that these kinds of tests can have no ‘dual use’ explanation, since the only possible purpose of such internal neutron sources is to ignite the nuclear chain reaction in nuclear weapons,” the Israeli statement said, according to Reuters. Satellite evidence last August and in 2012 suggested that nuclear bomb triggering devices are being tested in Parchin. Iran has added to the suspicion by refusing to allow visiting IAEA inspectors to enter the site. Israel has been critical of the interim agreement reached between Iran and world powers, and which the sides are now trying to turn into a permanent deal by November. Steinitz last week urged the European Union (EU) not to make a “bad deal” with Iran over its nuclear program. Steinitz urged world powers not to sideline the Iran issue as they concentrate on battling terrorists from the Islamic State (IS) group in Iraq and Syria, echoing remarks made by Prime Minister Binyamin Netanyahu a week earlier.